Showing 221-240 of 240 items. Store desiccated at 4°C. Protect from light. 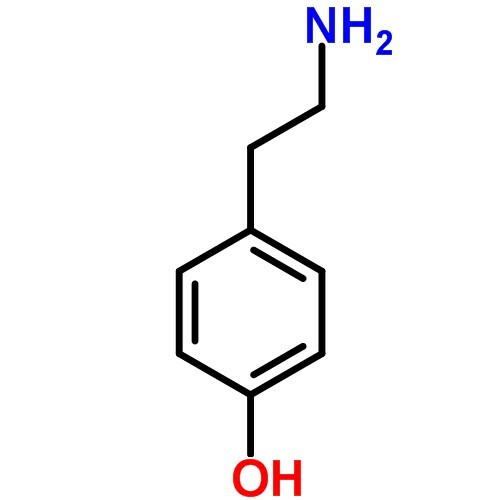 X-alpha-D-mannoside (or X-Man) is a derivative of alpha-D-mannopyranoside and is used in histochemical staining to detect the presence of α-mannosidase.In the presence of α-mannosidase, X-Man forms a granular blue precipitate. 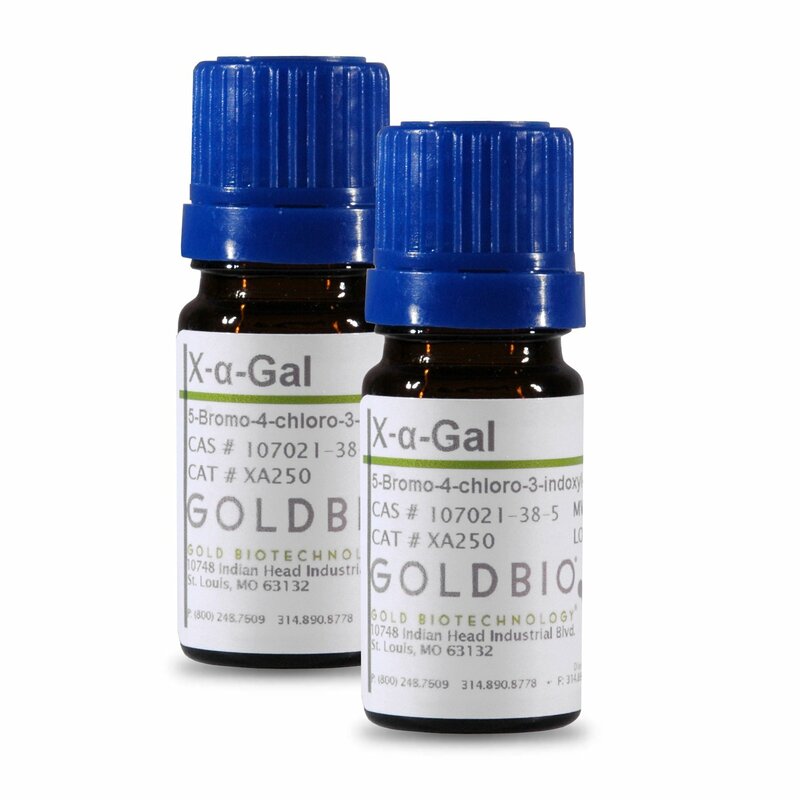 5-Bromo-4-chloro-3-indolyl β-D-galactopyranoside is most commonly known as X-Gal. 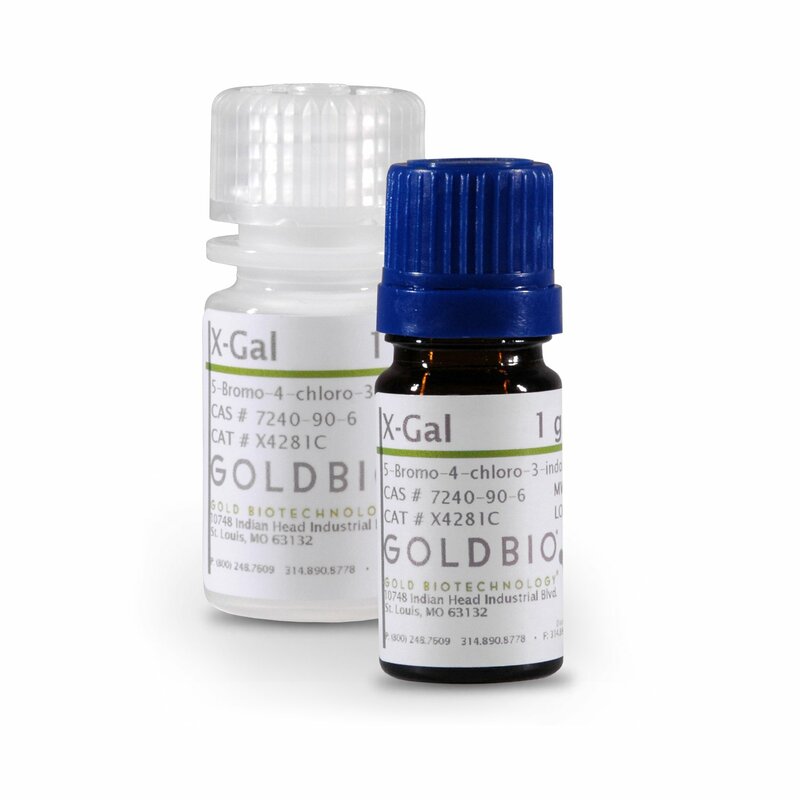 X-gal is a histochemical substrate for β-galactosidase which cleaves X-Gal to yield an insoluble blue precipitate. 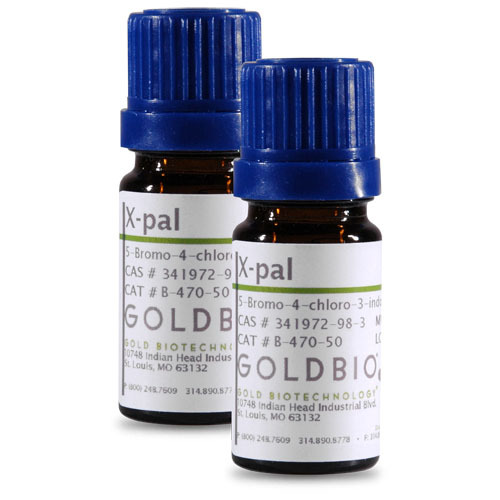 X-Gal is a mainstay in molecular biology cloning applications in which it is used to detect the activity of β-galactosidase. X-Gal is used to detect the insertion of foreign DNA into the lacZ region of a plasmid DNA. Insertion of DNA into the lacZ region results in the loss of β-galactosidase activity. Bacteria cells that retain active β-galactosidase will result in characteristic blue colonies. Successful disruption of the lacZα gene disrupts the α-complementation of the β-galactosidase gene and the precipitate does not form, resulting in white colonies. 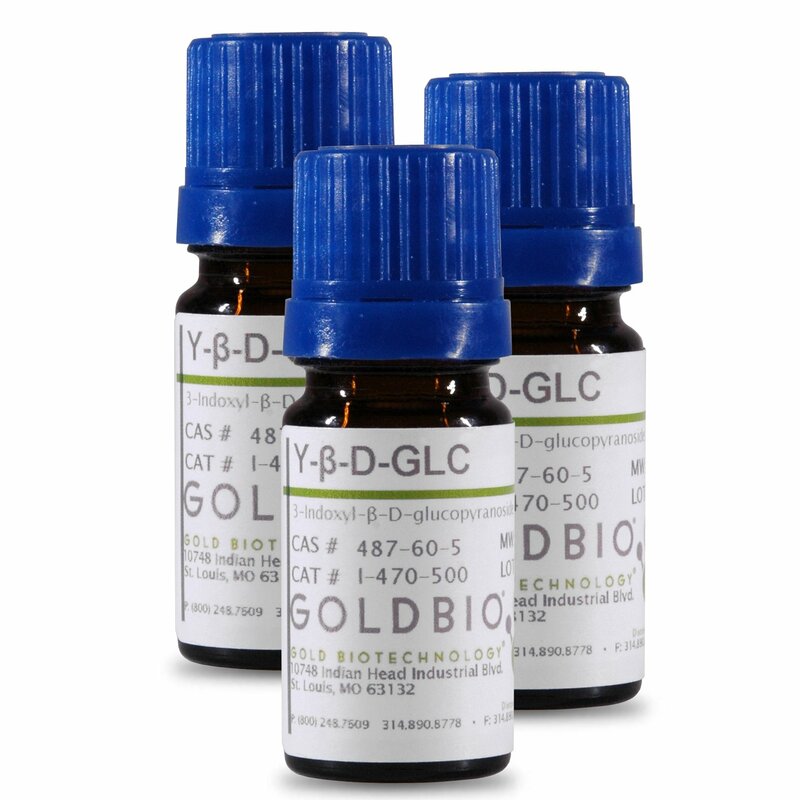 Many other applications also use X-Gal as a substrate to detect β-galactosidase activity. 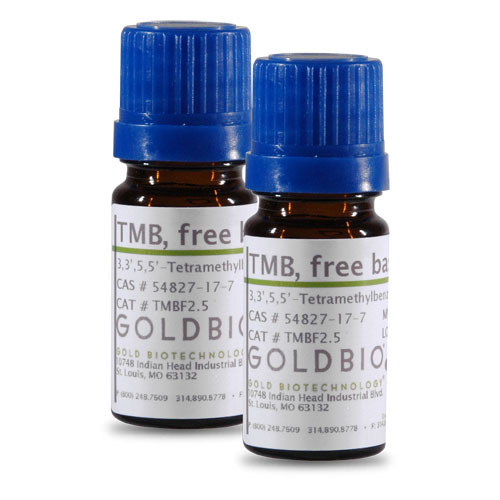 These include β-galactosidase -antibody linked immunoassays and immunohistochemistry, coliphage detection based on β-galactosidase induction and the detection of micrometastasis formation during tumor progession. 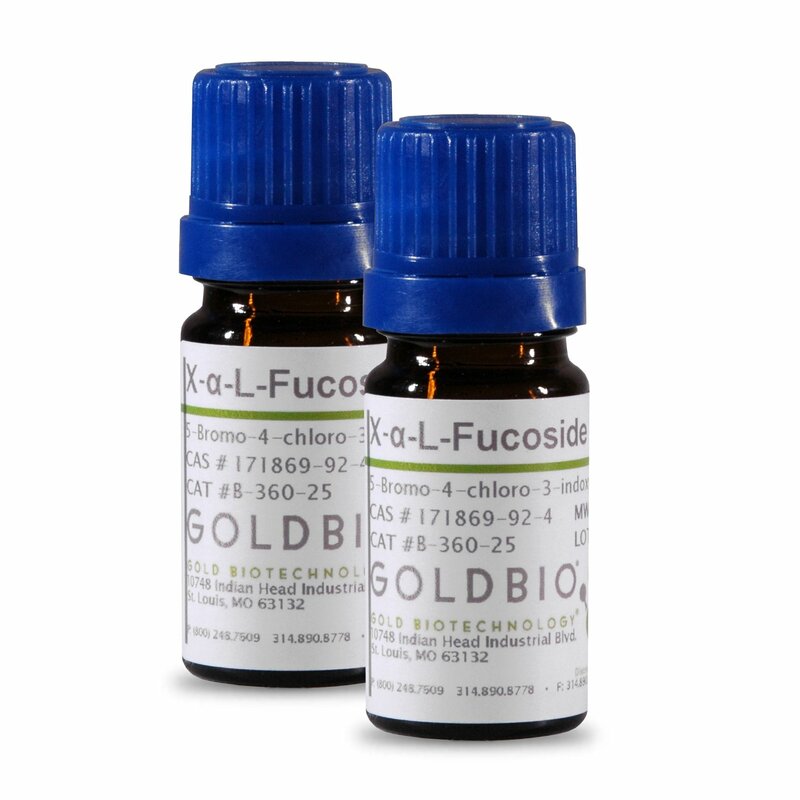 X-Gluc is a chromogenic substrate for beta-glucuronidase (GUS) which is encoded by the gusA (uid A) gene, a widely used reporter gene. 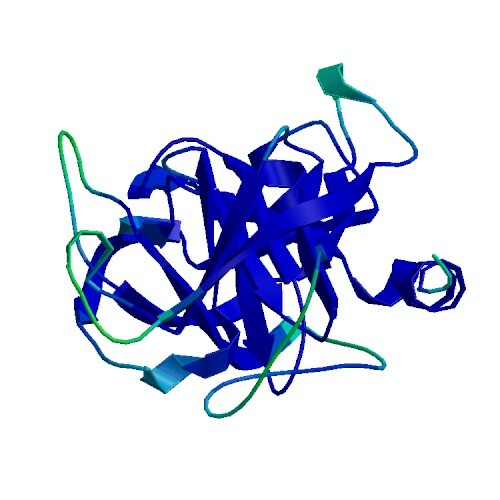 Glucuronidase cleaves X-Gluc to produce colorless glucuronic acid and an intense blue precipitate. 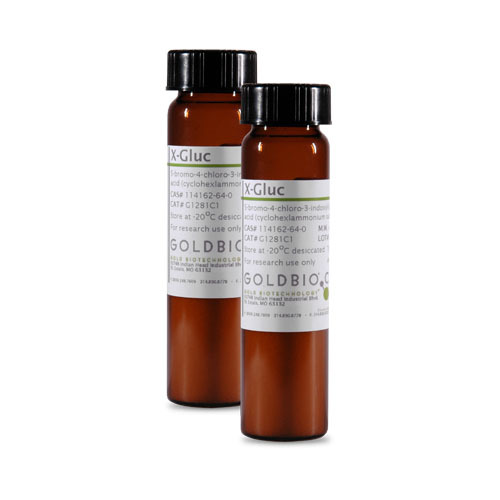 X-Gluc is often used in GUS staining of plant cells and tissue and in infections caused by E. coli. X-α-Gal is a chromogenic substrate for α-galactosidase, yielding a blue precipitate. X-α-Gal is used for detecting two-hybrid interactions directly on the culture media. 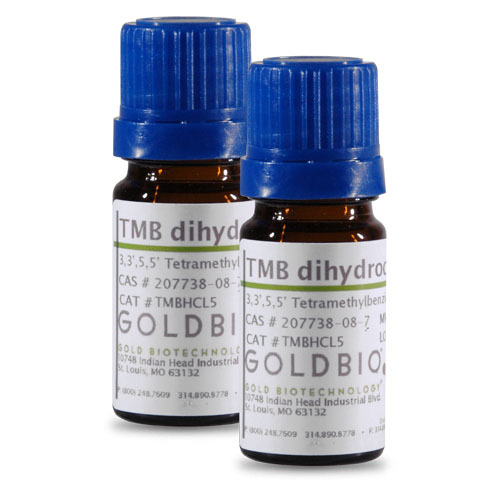 This substrate eliminates the need for β-galactosidase liquid and filter-lift assays in two-hybrid analysis. Used for species differentiation within the family Enterobacteriaceae and differentiation of Bifidobacteria species from Lactobacilli species. α-L-Fucosidases are carbohydrate-processing enzymes belonging to the exoglycosidase family of glycoside hydrolases. 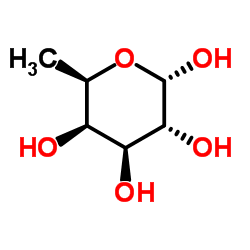 These enzymes break down glycosidic bonds of sugars at the terminal ends. 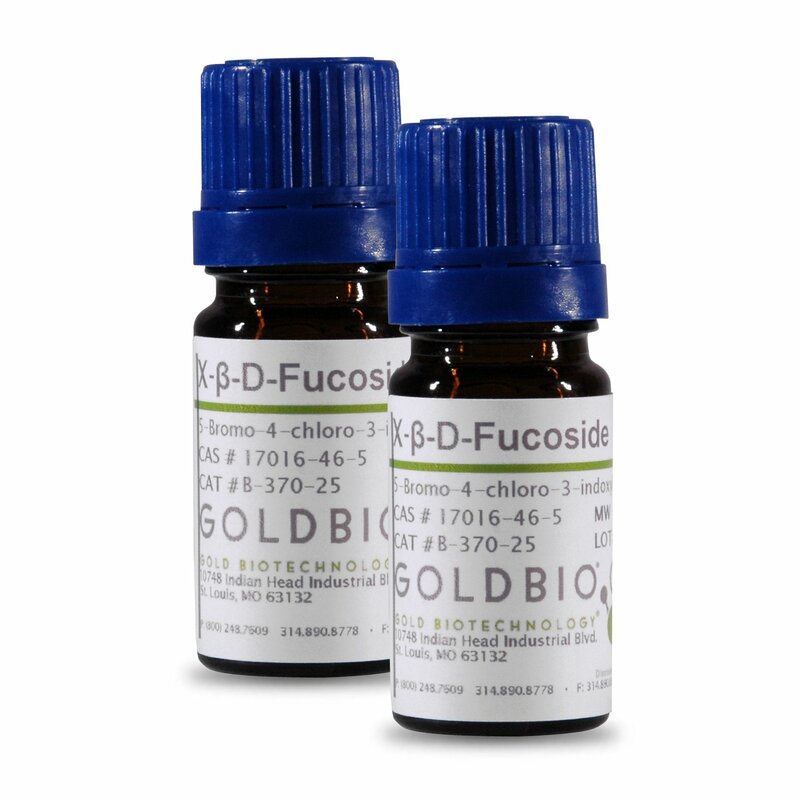 Fucose –containing glycolipids and glycoproteins can accumulate in different tissues when α-L-Fucosidase is inactive. 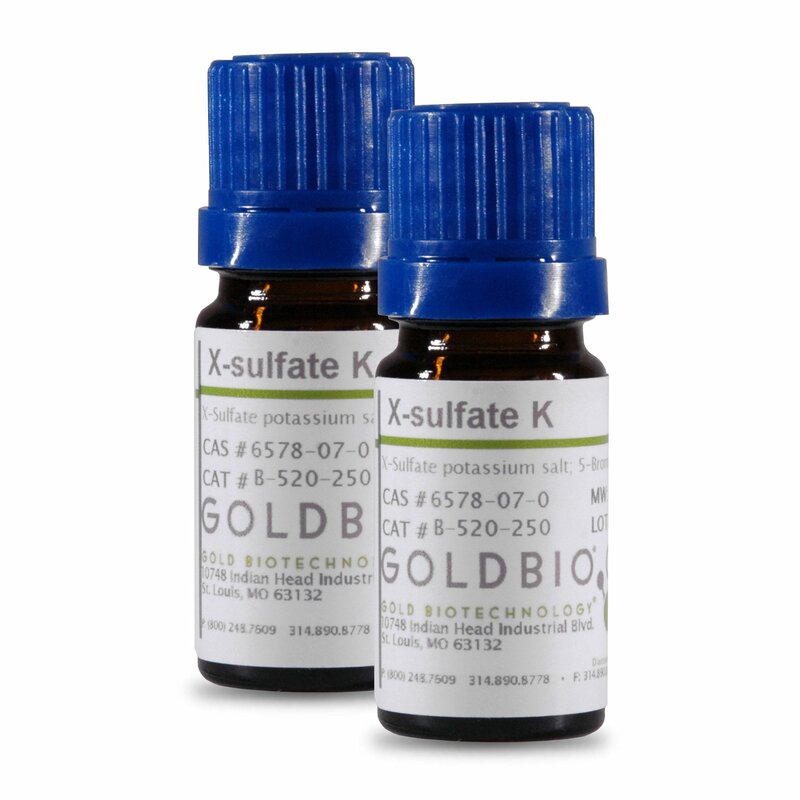 X-α-L-fucopyranoside is used as a chromogenic substrate for α-L-Fucosidase, producing a blue precipitate.